Nettleton-Daniel Dustin Erin Snelson, 47, known by his many friends and family as Dusty, won the victory over his 19 year battle with cancer on Friday, Feb. 8, 2019 while a patient at the North Miss. Medical Center. Dustin was born in Tupelo on September 11, 1971 to Daniel Gordon Snelson and Magdalean Yeager Snelson. . He lived a remarkable life on Schlicht Hill off Carmago Road south of Nettleton with his family and many friends. Dusty always loved God’s magnificent creation and the land that surrounded him. He loved to hunt, fish, ride 4 wheelers and horseback. A l989 graduate of Nettleton High School, Dusty continued his education at ICC where he received certificates in Tool and Die and Welding. An avid Ole Miss Rebel fan, he worked most of his adult life for Vita Foam in Tupelo. Dusty was a born again Christian and had a strong faith that guided his life journey and provided strength for his years of fighting cancer. A faithful member of Faith Outreach Church in Okolona, Dusty had a forgiving heart and a sweet spirit. Well Done, good Son, Brother, Nephew and Friend-We will meet you on that Evergreen Shore. Services honoring his life and faith will be held at 2 PM Sunday (2/10/2109) at Faith Outreach Church in Okolona with his pastor, Bro. Jimmy Bryan officiating. Burial will follow in Lee Memorial Park. Visitation will be from 3 PM – 6 PM today and from 1 PM-service time on Sunday, all at Faith Outreach Church. Leaving behind to cherish his memories are his mom and dad, Maggie and Buddy Snelson of Nettleton; his sister, Wendy Snelson Raney and her husband, Charles of Stafford, VA and their daughter, Katelyn Raney, who loved her Uncle Dusty; his grandmother, Frances Yeager of Nettleton; Uncles and Aunts, Larry Yeager (Tina) and Betty Guin (Kenneth) , Ruble Oliver all of Nettleton, Anita Yeager of Georgia Barbara Culver of Eufala, Ala and Glen and Cathy Snelson of Albany, Ga. other near relatives including many cousins. 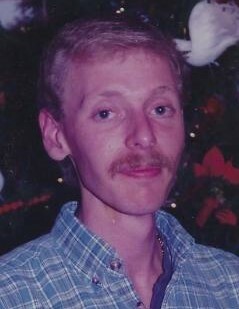 He was the grandson of Jessie Yeager and Mr. and Mrs. D.C. Snelson, the great grandson of Mr. and Mrs. Herman Schlicht and the nephew of his aunts and uncles; Donald Yeager, Louise Oliver, Nathan Yeager and Lisa Oliver Freeman all of which predeceased him in death.